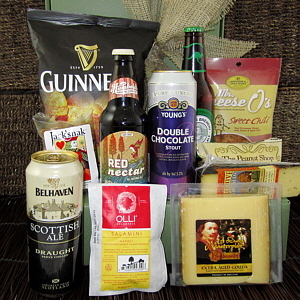 Beer and Cheese and Sausage and Peanuts and Wow, what a great gift! World-class cheeses and beers are a match made in heaven and the Vermont Smoke and Cure Sausage, the Virginia Peanuts and Beer Flats Porter Crackers the perfect accompaniments. They're gonna love you for sending this!